In the early 1980s the College of Built Environments established the Roll of Honor to recognize individuals whose careers, pursued within one or more of the College’s disciplines, have been of genuinely extraordinary significance. Honorees are added to the frieze in Architecture Hall and recognized with an unveiling ceremony. Roll of Honor recipients embody the mission and spirit of the College and are considered inspirational or a model of professional achievement for students and/or colleagues. Carl F. Gould graduated from Harvard and studied at the École des Beaux-Arts in Paris. 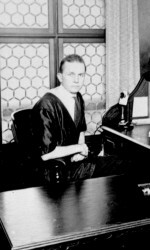 In 1908, following graduation, Gould moved to Seattle and established his own firm. In 1914, he partnered with Charles Bebb to form Bebb and Gould, a firm which emerged as a leader in institutional design in the Northwest. Gould and Bebb were commissioned with the design of the University of Washington campus after the institution moved from its original location in downtown Seattle. One of the most famous buildings to be constructed out of this plan is Suzzallo Library, which remains an iconic symbol of the history and legacy of University of Washington. 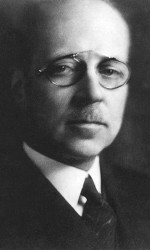 Gould also founded and led the Department of Architecture from 1914 to 1926. Gould is remembered as a leader in the arts and city planning. His life and career were profiled in the monograph, Carl F. Gould: A Life in Architecture and the Arts, published in 1995. Gould Hall is named in his honor. Ellsworth P. Storey graduated from the University of Illinois and is remembered as one of the very first academically educated architects to come to the Seattle area. Arriving in 1903, spent the next several decades designing a number of residential and small institutional structures inspired by the arts and crafts movement and blended with elements of pioneer architecture. In the University District community he designed the Sigma Nu fraternity house and the University Unitarian Church. He also is known for his design work in Moran State Park in Orcas Island, WA and a series of 12 cottages now known as the Ellsworth Storey Cottages adjacent to Colman Park in Seattle’s Mount Baker neighborhood. The cottages are listed on the National Register of Historic Places. Robert C. Reamer was born and raised in Ohio and moved West just before the turn-of-the century. Despite having no formal education past the age of 12, Reamer was successful in developing designs for urban cities and rural parks. He designed more than 25 buildings in Yellowstone Park, including Old Faithful Inn (1902-1903), which was influential in shaping the architecture and development in many national parks. In the 1920s and 30s, Reamer designed several downtown Seattle buildings, and many notable buildings throughout the region. Some of his famous works include Seattle’s 5th Avenue Theater, the Olympic Hotel and the Seattle Times headquarters building. His last major design was the Meany Hotel (1930-1932) in the University District. Marcus Priteca was born and raised in Scotland arrived in Seattle in 1909. He graduated from the University of Edinburgh and attended the Royal College of Art. He won a major commission from vaudeville theater owner Alexander Pantages, to design the San Francisco Pantages, which launched his career in theater design along the West Coast. Priteca was hired for “his ability to create the appearance of opulence within a less than opulent budget,” Pantages said. Throughout the duration of his career, he was responsible for 150 theaters. His local work includes the Paramount and Admiral theaters in Seattle and the Pantages Theater in Tacoma. Priteca stayed active in the design community through his eighties and when he consulted on the Seattle Opera house and Portland Civic Auditorium. Lancelot E. Gowen was born in Westminster, BC, Canada and raised in Seattle, Washington. He graduated from the University of California, Berkeley and studied at the École des Beaux-Arts in Paris. 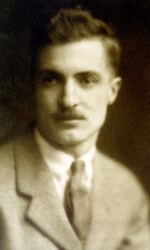 Gowen joined the faculty of the Department of Architecture at University of Washington in 1924 and taught until his death in 1958. 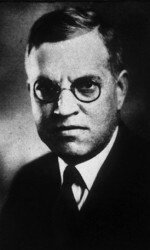 Gowen also served as secretary for the American Institute of Architects (AIA), Washington State Chapter in 1935 and as president from 1936-1938. Gowen did not have extensive hands-on practice in architecture as he committed much of his career to the education of his students and inspiring them to achieve their best work. He was known as a dedicated instructor during his 34-year career as a professor in the Department of Architecture. Gowen Hall, located in the liberal arts quadrangle at the University of Washington campus is named in his honor. 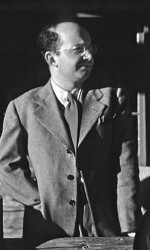 Lionel H. Pries, originally from California, studied at University of California, Berkeley and University of Pennsylvania. He spent the first part of his career in California and arrived in Seattle in 1928. 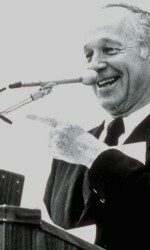 He taught at the University of Washington from 1928 to 1958 while he maintained his practice. Pries is most recognized for his role as an inspirational leader in the Department of Architecture during the 1930s and early 1940s. He was the Director of the Art Institute of Seattle, the predecessor of the Seattle Art Museum, from 1931-1932. 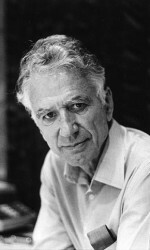 Toward the end of his career, students established a student-selected award to recognize excellence in teaching and named it the “Lionel Pries Teaching Award.” His life and career are presented in the monograph, Lionel H. Pries, Architect, Artist Educator, written by Professor Jeffrey Ochsner and published in 2007. Elizabeth Ayer was born in Thurston County, Washington. In 1922, she was the fourth ever graduate and the first female graduate of the architecture program at the University of Washington. She was also the first woman registered as an architect in Washington State. Ayer’s career began in the office of Edwin Ivey. When Ivey was died in 1940, Ayer continued the practice for a time under Ivey’s name, and then for an additional 25 years as Ayer & Lamping. The firm carried out a range of single-family and multifamily residential homes, as well as commercial and institutional commissions. 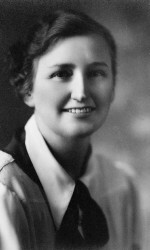 She also served as an architect in the United States Engineers’ Office during World War II. In retirement, Ayer served on the Planning Commission for the City of Lacey. Paul A. Thiry was born in Alaska and graduated from the University of Washington in 1928. After studying abroad post-graduation at École des Beaux-Arts in Paris, Thiry began his professional career in architecture in Seattle and was among the first Seattle architects to turn in the direction of International modernism. He is known as the father of architectural modernism in the Pacific Northwest. Thiry built a professional career of notable modern buildings including the Museum of History and Industry and the Frye Art Museum in downtown Seattle and the Washington State Library in Olympia. He is best known for his work as the principal architect of Century 21 Exposition at the Seattle World’s Fair, the U.S. Embassy Residence in Santiago, Chile, and the Washington State Library. Victor Steinbrueck was born in North Dakota and came to Seattle in 1913. He graduated from University of Washington in 1935, joined the architecture faculty in 1946, and taught until the late 1970s. While involved in notable buildings as a practitioner, he is most recognized for his civic involvement and his focus on the buildings and open spaces of Seattle as an embodiment of local culture. He demonstrated leadership in the creation of the Pioneer Square and Pike Place Market historic districts and fought against developers’ plans to obliterate these sites. He is also known for his role in the creation of several “viewpoint” parks in Seattle and often collaborated with fellow Role of Honor honoree Richard Haag, founder of the UW Department of Landscape Architecture. His own projects were guided by a strong sense of public spirit and social consciousness in the areas of low-income housing, the inclusion of social services, and a number of city parks. He also played a key role in the design of the Seattle Space Needle. 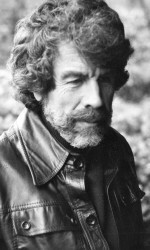 Paul H. Kirk was born in Utah and graduated from the University of Washington in 1937. After World War II, Kirk built his professional career in Seattle, emerging as a leader in the creation of regional modern architecture and is noted for the well-crafted detail. Kirk may be the most-published Seattle architect with roughly with roughly 60 articles about his work published in national architectural journals between 1945 and 1970. His local work includes the Magnolia Branch of the Seattle Public Library, the Japanese Presbyterian Church in Seattle and the French Administration Building at Washington State University. He also designed Meany Hall at the University of Washington and the UW Faculty Club (re-named the UW Club in 2005( alongside fellow Role of Honor honoree Victor Steinbrueck. Kirk was highly active in local civic projects and frequently served as a juror for professional design competitions. 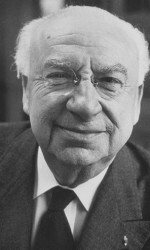 He served on the City of Seattle Housing Board and as president of the Seattle Art Museum’s Contemporary Arts Council. Kirk played a key role in Pike Place Market’s preservation project. 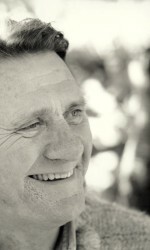 Fred F. Bassetti was born and raised in Seattle and graduated from the University of Washington in 1942. Following that, he earned his Master’s in Architecture at Harvard in 1946. From 1947 through the early 1990s he headed a series of partnerships that helped shape the development of modern architecture in Pacific Northwest. However, Bassetti was more than an architect; his commitment to Seattle was reflected in his involvement in and advocacy for historic preservation, urban design, and maintaining the character of the city’s public realm. Prior to his retirement, Bassetti and his firms received nearly 100 awards. These awards included the American Institute of Architects (AIA) Fellowship, AIA Seattle Medalist, Academician of the National Academy of Design, “Best Local Architect” by Seattle Weekly readers, and Pritzker Architecture Prize nominee in addition to two Awards of Merit or Honor Awards from AIA Seattle. Myer “Mike” R. Wolfe was born in Massachusetts and graduated from the University of New Hampshire and Cornell. He came to the University of Washington in 1949 and in 1962 founded and became the first chair of the Department of Urban Planning. Along with Wolfe’s professional career in planning and urban design, he served as Dean of the College of Architecture & Urban Planning from 1979 to 1982. Wolfe believed first and foremost about creating socially conscious environments, and is known as a pioneer in the field of urban design—an interdisciplinary field that includes elements of urban planning, architectural and landscape design concepts. Wolfe saw urban design as humanistic and an important component contributing to the values and dignity of the built environment. He felt the alliance of the design and planning professions was essential for the betterment of our environment. 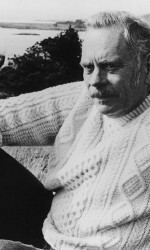 Norman J. Johnston was born and raised in Olympia, Washington. He graduated from the University of Washington in 1942 with a B.A. in Art. He continued his studies and earned a degree in architecture from the University of Oregon in 1949 and later earning his Master of City Planning and Ph.D. at University of Pennsylvania in 1959 and 1964. 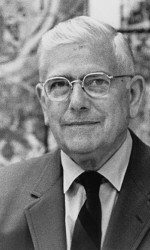 Johnston began his 40-year career with the University of Washington faculty in 1960. 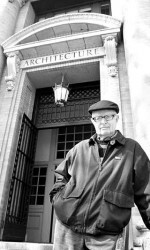 Along with serving as a as professor and Associate Dean of the College, Johnston was architect, author and advocate and devoted himself to the betterment of the College, the University, the region and the professional community of architects. He was a cofounder of Allied Arts in Seattle and was a leader in their fight for legislation in Olympia to eliminate billboards in the 1960s. He served on the Washington State Architectural Registration Board from 1970-1981 and 1988-1999. Johnston also served as American Institute of Architects Seattle President in 1981 and authored the well-known book: The Fountain & the Mountain: The University of Washington Campus in Seattle, published in 1995. Wendell Lovett is a Seattle native and graduate of the University of Washington and MIT. He began his more than 40-year University of Washington teaching career in 1948 and, at around the same time initiated his professional practice. Lovett earned local, national and international recognition for his innovative residential designs. His work was profiled in the 2004 monograph, A Thriving Modernism, by Grant Hildebrand. He was also elected a fellow of the American Institute of Architects in 1985 and received the Seattle Chapter Medal in 1993. Richard “Rich” Haag was born in Kentucky and graduated from the University of California, Berkeley and Harvard. He came to Seattle in 1958 and built an award-winning career as a landscape architect earning national and international recognition. He is chiefly known for his projects in Gas Works Park and his work at the Bloedel Reserve. 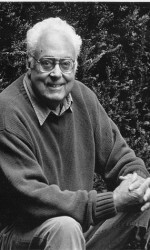 Haag joined the University of Washington faculty in 1958 and was the founder and first Chair of the Department of Landscape Architecture established in 1964. His career is profiled in the monograph, The Landscape Architecture of Richard Haag, by Thaisa Way, published in 2015. Haag is a two-time recipient of the ASLA President’s Award for Design Excellence and spent two years in Japan on a Fullbright Scholarship. 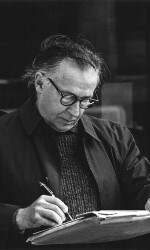 Roland Terry was a well-known architect in the Pacific Northwest who graduated from the University of Washington in 1940. A prime contributor to the regional approach, Terry was committed to artistry appropriate to its regional setting and played a role in developing the regional version of Modernism. Terry founded the firm Roland Terry & Associates in 1960, which later became Terry & Egan. His buildings, which include Washington Park Towers in Seattle, Episcopal Church of Redeemer in Kenmore and the UW Alumni House, are noted for the integration of architecture, interiors and landscape. The 13,000 items that make up his drawing collection are housed with the UW Libraries. Grant R. Jones graduated with a degree in architecture from the University of Washington in 1961. He earned a Master of Landscape Architecture from Harvard University in 1966 spent the next two years exploring Europe and South America on the university’s Frederick Sheldon Travelling Fellowship. Throughout his career Jones helped shape the concepts of landscape theory and practice through ecological design. He co-founded Jones + Jones Architects + Landscape Architects and served as a partner and principal until his retirement in 2011. The firm is best known for pioneering river and highway corridor design and planning context-sensitive roadway design, zoological and botanical gardens and parks. Notable projects include the Nooksack River Plan and the Woodland Park Zoo reconstruction plan.